People who want to lose weight during the holiday season need to make sure that they set a goal. That goal should be kept in a place where a person can see it and must beeasily accessible everyday. Nowadays you can do all of this online and even hire an online personal trainer for a fraction of the price you would pay for a personal trainer at the gym People who stay focused on their goal will be more likely to reach their ideal weight by the end of the holiday season. Egg nog, sodas and alcoholic beverages are loaded with empty calories. People who are trying to lose weight should try to drink at least 8-10 cups of water per day. Replacing a sugary beverage can help cut hundreds of calories out of a person's diet. Drinking water before a meal can also help a person eat less. Additionally, studies have also show that water can boost a person's metabolism by up to six percent. One of the main reasons that people put on weight during the holidays is because they eat large portions of food. 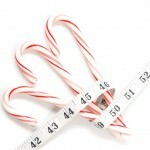 If a person want to lose weight during the holiday season, he or she will have to exercise portion control. There are many delicious foods to try during this time of the year and it is okay to try them all. However, the key is consuming everything in small quantities. People have been taught from birth that they are supposed to eat three big meals per day. However, researchers have found that people who eat 5-6 small meals throughout the day weight less than those who eat bigger meals. Many people overindulge because they wait too long to eat. Eating smaller meals more frequently will help keep a person full, which can help prevent overeating. During the holiday season, it is much harder to squeeze in an exercise session. People who do not have the time to exercise can lose weight by doing simple activities. Walking is a very simple exercise that almost everyone can do. Walking just 30 minutes per day can help a person lose weight. Playing with the kids and cleaning the house also burn calories and can help a person lose weight. Holiday parties are a fun way to spend time with family and friends. However, almost all holiday parties have several food choices and that makes it very tempting to overindulge. Eating a small snack such as a fruit will help prevent a person from overindulging. Eating slower can help a person lose weight. Scientists have found that it takes about 20 minutes for the human brain to register that a person is full. People who eat fast often continuing eating even after they are full. Eating food more slowly can help a person lose 2-3 pounds during the holiday season. Author Bio: Jennifer Carter is a freelance writer and an admitted "health freak" who is very concerned about everything she eats. When she is not at her local gym working out, she is researching and comparing car insurance online in order to find the best deals. Can You Lose Belly Fat by Just Dieting?